We know that gastric issues are extremely common in people these days and in particular many people suffer from hiatal hernia which means that part of the stomach can protrude through into the chest cavity and as this can actually mechanically compress on the left atrium and therefore increase likelihood of atrial heart rhythm disturbances. There is an interesting study that I came across in the Journal of Afib from 2013 by Roy et al and what they wanted to find out whether people with a hiatus hernia have a much higher prevalence of atrial fibrillation. They looked at all patients who had a diagnosis of hiatus hernia and had been seen at the Mayo clinic in Rochester from Jan 1st 1976 to 31st dec 2006 and they also looked to see if they also had a diagnosis of AF. They then compared to this ti the reported prevalence of AF in patients of similar age and gender in the general population. What they found was very intesting indeed. In younger men aged less than 55 years, AF was present in 3.5% of the population with hiatal hernia and only in 02% of the general population..I.e a 17.5 fold higher! Similarly in women under the age of 55, there was a 19 fold higher incidence of AF compared to the general population. So it appears that in some way hiatus hernia is associated with increased prevalence of atrial fibrillation. However association does not automatically imply causation; and therefore I was keen to see if there was any evidence that treating the hiatus hernia can improve AF. I found a few interesting case reports in the literature suggesting possible causation. Schilling et al reported a case of patient who had atrial flutter and a large paraesophageal hernia and once the patient had an operation to repair the hernia he had no more atrial flutter. We know that patients with Afib often have comorbidities such as diabetes high blood pressure, obesity etc. We also know that exercise is beneficial because it helps reduce blood pressure, control diabetes and of course reduce obesity. So last year there was a very interesting study published in the Circulation journal by Malmo et al. This study was performed in Norway and these chaps took 51 patient with symptomatic paroxysmal or persistent Afib who had been referred for an ablation. A loop recorder was inserted to record the time the patient was in Afib. And their left atrial function improved! And these were pretty symptomatic patients because they had been referred for an ablation! walking or running on a treadmill 3 times a week for 12 weeks. ending with a 5-minute cooldown period. 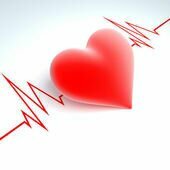 Today’s blog is on Atrial fibrillation and this is particularly relevant to those of you who have paroxysmal Afib which means that the AF can come and goes of its own accord. Most people with paroxysmal AFib seem to tolerate Afib very badly..they feel lethargic breathless, tires and get palpitations and they don’t know how long it is going to go on for. What we do know is that there are often triggers which can increase the chances of an Afib attack happening and recognizing the triggers and avoiding them can make a big difference to the frequency of attacks. 72 patients felt that their symptoms starteed at around about the same time of the day and the majority occurred between 6-9 pm but also from midnight to 9 but the least number complained of symptoms starting from 9-3pm. If you can identify and avoid your triggers, you will hopefully get less AF. Please do consider liking, commenting and sharing. Also please visit my Facebook page (yorkcardiology@gmail.com). Here is a video on this subject. Today’s blog is therefore on the subject of emotional stress and how it can trigger Afib. This is a subject that is very close to my heart because whilst everyone believes that the reason there is so much illness about is because of an aging population, i have always maintained that it is more to do with lifestyle. And whenever lifestyle is mentioned people assume that lifestyle relates to exercise and diet. However to my mind perhaps the most important yet most neglected component of lifestyle is stress. We live in a hugely stressful world and stress is everywhere and to my mind stress is perhaps the single biggest cause of morbidity and mortality and it is unfortunate that our politicians are happy to give millions of pounds to pharamceutical companies to bring wierd and wonderful drugs to treat medical illnesses, they don’t invest at all in strategies to help reduce stress and thereby prevent disease from happening in the first place. And the simple reason for this is that preventing disease is not as profitable as treating disease! We know stress is hugely inflammatory to the body and most chronic western world illnesses arise from long term chronic inflammation. 95 patients paroxysmal AF were studied.All were in sinus rhythm at the time of enrollment. They were asked to keep an electronic diary summarising their emotions for the day at the end of each day for a whole year. They were asked to fill in if they had been happy, sad, angry, stressed, impatient, anxious or hungry. They were given a loop recorder so that they could record their symptoms when they felt that they had gone into Afib and then they were also asked to fill in exactly what their emotions were just before theu developed their symptoms. Once a month, they were also given a 24 hour tape and every 30 minutes they were asked to fill in how they were feeling. Did emotional status influence whether you had an Afib attack on the same day? Did emotional status on the day before impact on whether you had an Afib attack the next day? The results were amazingly interesting! In fact the likelihood of AF events was 85% lower after reports of happiness! They also found that if the patient had reported being stressed or angry the day before then this almost doubled the likelihood of AF on the following day. The more the stress the more likely an episode of AF! So in summary this study very elegantly showed that negative emotion can trigger Afib. And this is why i think that being mindful of the huge negative impact that stress can have on our health is so important and giving priority to those aspects of your life that genuinely give you happiness and destress you is a very worthwhile investment. Also if you would like to speak with me please come and join me on my facebook page (yorkcardiology1), my website is www.yorkcardiology.co.uk and my twitter id is yorkcardiology. it is true that ectopic heart beats generally get less with exercise and this is because when you increase your heart rate you are reducing the amount of time between each heart beat and therefore there is less chance of the ectopics creeping in but that doesn’t mean you can’t have ectopic heart beats on exercise as well. In fact in my job i often have to supervise treadmill tests and i see one or two ectopic heart beatss creep in during exercise in the majority of patients. Progression means that if your ectopics are happening because the heart is distressed and therefore more sinister then you will find that they will increase with increased exertion which means that if you continue to exercise your ectopics will continue to get worse and worse. It is always good to have some baseline investigations if you haven’t had any and i would always recommend a stress echocardiogram because with a stress echocardiogram you can study the heart at rest, look for consistency and progression and also work out if all the heart muscle is getting all the blood at maximal physical stress. If you have a normal stress echo then it is highly unlikely that you need to worry about your ectopics on exercise. Anginal Chest Pain – What You Should Know? Any pain which occurs in the chest area is considered chest pain. Anyone presenting with new chest pain, or with chest pain that feels different than their usual anginal attacks, should see a physician immediately. People have been taught to see a physician for chest pain because it may be a heart attack. Although angina can cause chest pain and discomfort, heart attack pain is also generally more severe. Many people with angina experience more of a dull discomfort than a pain, while anxiety tends to be more of a pain. The chest pain of angina must be differentiated from pain or discomfort due to indigestion. The most common symptom is recurring chest pain with a feeling of tightness or pressure in the chest. The chest pain associated with angina pectoris is described as squeezing, pressing, burning, choking, or bursting felt along the sternum. The pain may feel like tightness, heavy pressure, squeezing, or crushing pain. There are different types of chest pains like a sharp pain, dull pain, burning sensation or feeling as if the chest in going to be crushed by a tight pressure. The pain is usually described as a pressure, heaviness, squeezing, burning, or a choking sensation. You may feel pressure, squeezing, burning, or tightness in your chest. A heart attack or myocardial infarction is caused by blocked blood flow to the heart muscle. Aspirin is known to thin the blood, which helps the heart get more blood if you are, indeed, having a heart attack. The pain is caused by inadequate blood supply to your heart, which leaves your heart deprived of oxygen. When the arteries supplying blood and oxygen to the heart are blocked, the blood flow to the heart muscle is obstructed and chest pain results. Angina is caused by lack of oxygen supply, while in heart attack blood vessels are blocked. When the body requires the heart to pump more blood, the heart muscle is asked to do more work and that can cause it to outstrip its energy supply. Angina is s sharp pain in the left side of the chest radiating to the shoulders and the neck. Chest pain is usually described as squeezing or burning, substernal in location and radiating to the back, neck, jaw or arms, making it sometimes indistinguishable from cardiac chest pain. Although angina is typically marked by discomfort in the chest, pain can also affect the shoulders, arms, neck, jaw, or back. The pain often radiates to the neck, jaw, arms, back, or even the teeth. Both can be marked by pain, numbness, or tingling in the neck, shoulders, arms, and jaw. The pain may spread beyond the chest to the upper body, back, arms, jaw or abdomen. The symptoms of stable angina are relieved with rest while it is otherwise with unstable angina. There are several different types of angina, including stable angina, unstable angina and variant angina. Variant angina is a rare form of angina, which can be more severe than other forms. Most stable angina pains develop into unstable angina if ignored. One of the well-known sub classes of angina are like Bowelgina, also called abdominal angina. Variant angina is rare and accounts for only about 2% of cases of angina. The rupture of plaques in cause a blood clot in the cardiac arteries thereby substantially reducing the blood flow to the heart muscle. As the coronary artery becomes narrowed, the blood supply to the heart is diminished. CAD happens when a sticky substance called plaque builds up in the arteries that supply blood to the heart, reducing blood flow. Reduced blood flow may be the result of plaque in the arteries, spasms in the arteries, or damaged or diseased artery walls. The passageway for blood through the arteries gets narrower and less blood can flow through the arteries. Blood supply to the heart muscle is typically reduced by atherosclerosis, the build-up of fatty plaque in the arteries that supply the heart. A heart attack can cause permanent damage to your heart. Certain heart enzymes slowly leak out into your blood if your heart has been damaged by a heart attack. Where a heart attack threatens to lead to permanent damage to your heart muscle an angina attack is not. A scarred heart cannot pump blood as efficiently as a normal heart, and can lead to heart failure. An episode of angina is not an actual heart attack, but rather pain that results from the heart muscle temporarily receiving too little blood. A heart attack results from a blockage in a coronary artery which causes permanent damage to the heart muscle. Even women experience chest pain and have equal number of chances as men to have a heart attack. The most common symptom of heart attack for both men and women is chest pain or discomfort. Many signs of a heart attack in women differ from the symptoms men typically experience. When you think of the signature symptom of a heart attack, chest pain probably comes to mind. Although risk factors for heart attack are similar among men and women, women are more likely to have more serious heart attacks, resulting in death. Any heart attack symptom is a warning sign, even if you do not experience chest pain. Muscle and bone causes Some types of chest pain are associated with injuries and other problems affecting the structures that make up the chest wall. Unlike pain in the left side of the chest, people who feel pain in the right chest area are more likely not to have heart-related conditions. Chest pain is a diagnostic challenge in outpatient family medicine since there are so many conditions, both benign and serious, that can cause chest pain. Costochondritis causes chest pain, felt at the front of the chest. The pain can be felt anywhere in the chest, depending on the site of the inflammation. The gallbladder is located along the right bottom of the chest by the liver, and it is possible to feel right chest pain along that area. Typical symptoms of angina are pain in the left arm or left-sided chest pain. The pain in the chest is often described as pressure, squeezing, or fullness within the chest cavity. The typical symptoms of chest pain caused by angina are pain, ache, discomfort or tightness across the front of your chest when you exert yourself. During a heart attack, chest pain is usually described as a mild-to-severe ache, pressure, or squeezing in the center of your chest that lasts more than several minutes. Costochondritis discomfort is experienced either as a stabbing sharp pain or a dull, constant, aching pain. Although a heart attack is classically associated with severe pain across the chest, many people feel only a tightness or squeezing sensation in the chest. A heart attack is a result of a blood clot that is blocking blood flow to your heart muscle. When the plaque ruptures and completely blocks the artery, no blood will flow to parts of the heart muscle, and it begins to die. CAD happens when a sticky substance called plaque builds up in the arteries that supply blood to the heart, reducing blood flow. When plaque breaks off, the resultant blood clot blocks the artery and begins starving the heart of blood and oxygen, a condition called ischemia. Blood supply to the heart muscle is typically reduced by atherosclerosis, the build-up of fatty plaque in the arteries that supply the heart. You may be given medicine to treat or prevent a blood clot, maintain blood flow to your heart, or decrease pain. The most common cause of chest pain in children and adolescents is musculoskeletal or chest-wall pain. Chest pain has a variety of sources, and virtually any structure in the chest can cause pain. Costochondritis is a common cause of chest pain in children and adolescents. One of the most common causes of chest pain in early pregnancy is heartburn. Chest pain is a common and frightening symptom, especially in the middle-aged. Chest pain is noncardiac in origin in more than 98% of children and adolescents who complain of it. Not all patients with pulmonary embolism have chest pain when breathing. Patients whose chest pain had subsided for more than one month, whose chest pain had been investigated already and/or who came for follow-up for previously diagnosed chest pain were excluded. In patients with pulmonary embolism who present with chest pain when breathing, the chest x-ray is almost always normal. Chronic chest pain usually is noncardiac, and causes can be musculoskeletal, gastrointestinal, psychogenic, or idiopathic. No two patients with pulmonary embolism have the same type of chest pain. Patients who had no chest pain were not significantly different from patients with chest pain in type of ACS, elevated troponin level or coronary stenosis. You may feel chest pain anywhere from your neck to your upper abdomen. Chest pain is usually described as squeezing or burning, substernal in location and radiating to the back, neck, jaw or arms, making it sometimes indistinguishable from cardiac chest pain. The chest pain experienced due to angina can radiate to the arms, neck, shoulders, and the back as well. You might only feel the pain in one part of the body, such as your arms, shoulders, jaw, stomach, back, or neck. The pain may spread to the arm, shoulder, jaw, or back. The pain can sometimes radiate to the left arm, shoulder, back, and the jaw as well, and last for a few minutes. Coronary artery spasm can occur in people who do not have significant coronary artery disease. A condition called coronary artery spasm, which involves a coronary artery going into spasm and narrowing. Most people who have coronary artery spasm symptoms have some degree of underlying coronary artery disease that may be difficult to pick up through conventional testing. Definitive diagnosis of coronary artery spasm often begins with a coronary angiogram that is performed with the expectation of finding atherosclerotic narrowing of a heart artery. Patients with coronary artery disease may have one or more plaques in their coronary arteries and unless the blockages are severe, there may be no symptoms. Two patients had coronary artery disease, and three had angiographically normal coronary arteries. Acting fast at the first sign of heart attack symptoms can save your life and limit damage to your heart. Whether you have had a heart attack or not, if you feel depressed, tell your doctor. You can even have a silent heart attack, one with no symptoms. The symptoms of a heart attack can vary from person to person. To prevent a heart attack, you will most likely need to make lifestyle changes. The patient may need to be hospitalized to prevent a heart attack. Without normal blood flow from the coronary arteries the heart becomes lack of oxygen and vital nutrients which it needs to work properly. When the blood flow to an area of the heart is completely blocked, a heart attack occurs. The coronary arteries carry oxygen-rich blood to the heart and a constant supply is necessary on an ongoing basis to the heart wall that is always contracting and relaxing. A heart attack occurs when the supply of blood and oxygen to an area of heart muscle is blocked, usually by a blood clot. When you have heart failure, your heart can not pump enough blood throughout your body. A scarred heart cannot pump blood as efficiently as a normal heart, and can lead to heart failure. All patients should be encouraged to reduce their likelihood of developing symptomatic coronary artery disease by modifying their risk factors. The major risk factors for heart disease and stroke are also the most important risk factors for PAD. You can help prevent a heart attack by knowing about your risk factors for disease of the arteries and potential heart attack, plus taking action to lower your risk. A number of major contributing factors increase the risk of developing coronary artery disease. Coronary artery disease will always benefit from therapeutic lifestyle changes that can slow, stop, or occasionally reverse atherosclerosis. Regardless of your age or family history, you can lower your risk of heart disease with lifestyle changes. The mechanism of an elevated blood pressure causing chest pain is similar to the changes that occur when a blood pressure cuff around the arm is inflated. Most of the cholesterol circulating in your blood has been made by your liver, not digested from the food you eat. Many people take more than one drug to control blood pressure or cholesterol, for instance. High cholesterol and high blood pressure are almost certainly among the causes of microvascular disease. You may get CAD if you are overweight or if you have high blood pressure or diabetes. A poor diet contributes to elevated cholesterol and triglycerides, high blood pressure, diabetes, and obesity. Angina is pain in chest which in most cases occur during physical activity or because of emotional stress. The pain can be severe, happens between midnight and early morning, pain relieved by medicine. Angina is relatively common, but can be hard to distinguish from other types of chest pain, such as the pain or discomfort of indigestion. Angina usually occurs during exertion, severe emotional stress, or after a heavy meal. The chest pain from angina often occurs with physical activity. Symptoms of angina include chest pain or pressure, or a strange feeling in the chest. Obstructive lesions may necessitate coronary artery bypass surgery and the use of vein grafts. The formal name for bypass surgery is coronary artery bypass grafting, sometimes referred to by its initials, CABG. A mammary artery or a vein taken from the leg is grafted onto the damaged coronary artery to circumvent a narrowed or blocked portion. When multiple grafts are occluded or the graft or native coronary artery appears unsuitable for PCI, surgery should be favoured. Former president George W. Bush recently had surgery to open a blocked coronary artery. Compared with medical or surgical interventions, nutritional changes are relatively low-risk, low-cost, and widely available. CLDN6 is located at the plasma membrane of transfected cells and can be targeted on living cells by specific antibodies. In living cells and non-permeabilized, paraformaldehyde fixed cells surface localization of CLDN6 can be examined. The anti-CLDN6 antibodies of the present invention can be derivatized, linked to or co-expressed to other binding specificities. Every one of you has their own story to tell. Concomitant use of diltiazem with beta-blockers or digitalis may result in additive effects on cardiac conduction. Antianginal effects result from negative chronotropic and inotropic effects, which decrease cardiac workload and oxygen demand. There are as yet few data on the interaction of diltiazem and beta-blockers. Diltiazem has been shown to be a potent dilator of coronary arteries both epicardial and subendocardial. Exercise heart rate and systolic blood pressure are reduced in relation to the logarithm of the oral dose of metoprolol. Systolic blood pressure was slightly higher and diastolic blood pressure was slightly lower in older patients and there was a trend of having more women in the older subgroup. The medication helps lower blood pressure and reduces the force of blood pumping through the heart muscle. Clonidine is actually a blood pressure medication, and does not pose the same risks as the neuroleptic medications. Only you and your doctor can decide on a proper medication for treatment of high blood pressure. Lifestyle changes to prevent or control high blood pressure need not be made one at a time. Clinical trials are done to find out if new cancer treatments are safe and effective or better than the standard treatment. Antiangiogenic therapy represents a novel, potentially effective, and non-toxic treatment for cancer. Antiangiogenesis therapy was safe, elegant, and at first apparently effective. Since all antiangiogenic therapies are still experimental and in clinical trials, it is difficult to determine what normal results should be. Different types of treatment are available for patients with pancreatic cancer. All types of skin cancer are serious, though melanoma is the most deadly. Nearly all glaucoma medications are prescribed to reduce eye pressure. In acute closed-angle glaucoma, the pressure inside the eye increases quickly, and the symptoms are dramatic. In chronic closed-angle glaucoma, the process is gradual and painless. For others who do not, the relationships crumble away, often in hurtful and destructive ways. The process used to find out if cancer cells have spread within and around the pancreas is called staging. The fact is skin cells are constantly dying and replicating themselves. The surrounding skin could be red and swollen due to the body trying to heal the area as well as a thickening under the skin. The cancer may come back in the pancreas or in other parts of the body. You may first take a medicine called psoralen, which makes your skin more sensitive to the light. The most movable joint in the body, the shoulder is also one of the most potentially unstable joints. FIG. 15 shows increased variation in methylation between normal and cancer samples in blocks. The normal samples were on average much more heterogeneous than the tumor samples in cellular composition. Methylation estimates are plotted against genomic location for normal samples and cancer samples. The greater efficacy of the two hour over the 12 hour plasma concentration is consistent with the plasma concentration profile of the drug. Up to 20 to 30 g/h may be needed in adults. Animals or people can be affected by consuming water or food that is contaminated with giardia cysts. The actual quality of bottled water depends on the bottling company, and most is usually good. PureAyre is the strongest, most effective odor eliminator you can buy, and it is completely safe. The editor should be aware of the tools, but should not try to re-implement them. The recommended starting dose of Diovan is 40 mg twice daily. Uptitration to 80 mg and 160 mg twice daily should be done to the highest dose, as tolerated by the patient. Diovan may be used over a dose range of 80 mg to 320 mg daily, administered once a day. Chest pain lasting only a few seconds is normally not angina. People between the ages of 40 and 70 are most likely to experience it. Affected dogs die of sudden cardiac death or congestive heart failure. In some cases there is sudden death from the arrhythmia that occurs. The dose should be adjusted to heart rate and rhythm. The pacemaker is a small battery-powered unit usually implanted under the skin and wired to the heart to control its rate and rhythm of contraction. A large number of studies have provided clear evidence for a link between the risk of coronary heart disease and psychological risk factors. The major risk factors for heart disease and stroke are also the most important risk factors for PAD. People with a family history, who smoke, and who are obese have a higher risk of developing heart disease. You cannot change some risk factors for heart disease, but others you can change. Educating Canadians about modifying existing risk factors for heart disease has been shown to be an important aspect of prevention. Even though the risk of heart disease increases with age, it does not mean you can not do anything about it. Coronary heart disease is the most common type of heart disease and can lead to sudden death from a heart attack. Exercise does not prevent heart disease and does not reverse heart disease as claimed. Coronary artery disease, one type of heart disease, is the leading cause of heart attacks. Coronary Heart Disease Coronary heart disease is the most common form of heart disease. The Links Between Diet and Coronary Heart Disease Coronary heart disease is a disease of the arteries that causes damage to, or malfunction of, the heart. Coronary artery disease is the most common type of heart disease and the leading cause of death worldwide. A heart attack occurs when blood flow to an area of your heart muscle is completely blocked. When your coronary arteries are narrowed or blocked, oxygen-rich blood can not reach your heart muscle. A heart attack happens when a blood clot suddenly and completely blocks one of the heart arteries, starving part of the heart muscle of oxygen. A heart attack occurs if the flow of oxygen-rich blood to a section of heart muscle is cut off. When the blood supply is completely cut off, the result is a heart attack, and the heart muscle begins to die. The goals of treatment are to restore blood flow to the heart muscle and prevent another heart attack. The symptoms of heart disease vary depending on the type of heart disease. Types of cardiovascular disease affecting the heart include syncope, rheumatic heart disease, and heart attack. Although the signs of heart disease may appear mild at first, and may be mistaken for signs of aging, heart failure is a serious, progressive problem and can be life-threatening. The symptoms of rheumatic heart disease vary and damage to the heart often is not readily noticeable. Many different types of heart disease can result in heart failure. Rheumatic heart disease is a complication of rheumatic fever in which the heart valves are damaged. 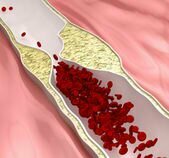 High cholesterol and high blood pressure are almost certainly among the causes of microvascular disease. You may be asked to take one or more medicines to treat blood pressure, diabetes, or high cholesterol levels. When you have your blood pressure measured, the systolic pressure is the first, higher number to be recorded. High blood pressure is defined as a systolic pressure of 140mmHg or more, or a diastolic pressure of 90mmHg or more. As someone with diabetes, you should have your blood pressure and cholesterol levels checked at least once a year. You will most often see blood pressure numbers written with the systolic number above or before the diastolic number, such as 120/80 mmHg. Your heart is a muscle and if you weigh more it makes the heart work overtime to pump blood to all parts of the body. Because the heart is not pumping effectively, blood may back up in the heart, lungs, or other organs. When you have heart failure, your heart can not pump enough blood throughout your body. A dilated heart chamber leads to dilated cardiomyopathy, which is a heart muscle too weak to beat with enough force to supply the cells with blood. The lack of blood flow to your heart may damage to your heart muscle. When the heart muscle is relaxing in between systoles, and filling up with blood in readiness for the next contraction, it is called diastole.